Ostracism (Greek: ὀστρακισμός, ostrakismos) was a procedure under the Athenian democracy in which any citizen could be expelled from the city-state of Athens for ten years. While some instances clearly expressed popular anger at the citizen, ostracism was often used preemptively. It was used as a way of neutralizing someone thought to be a threat to the state or potential tyrant. It has been called an "honourable exile" by scholar P. J. Rhodes. The word "ostracism" continues to be used for various cases of social shunning. 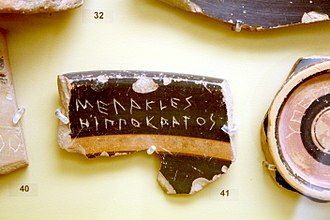 The name is derived from the ostraka (singular ostrakon, ὄστρακον), referring to the pottery shards that were used as voting tokens. Broken pottery, abundant and virtually free, served as a kind of scrap paper (in contrast to papyrus, which was imported from Egypt as a high-quality writing surface, and was thus too costly to be disposable). According to Plutarch, the ostracism was considered valid if the total number of votes cast was at least 6,000. According to a fragment of Philochorus, the "winner" of the ostracism must have obtained at least 6,000 votes. Plutarch's evidence for a quorum of 6,000, on a priori grounds a necessity for ostracism also per the account of Philochorus, accords with the number required for grants of citizenship in the following century and is generally preferred. Ostracism was crucially different from Athenian law at the time; there was no charge, and no defence could be mounted by the person expelled. The two stages of the procedure ran in the reverse order from that used under almost any trial system — here it is as if a jury are first asked "Do you want to find someone guilty? 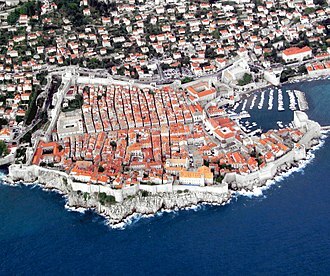 ", and subsequently asked "Whom do you wish to accuse?". Equally out of place in a judicial framework is perhaps the institution's most peculiar feature: that it can take place at most once a year, and only for one person. 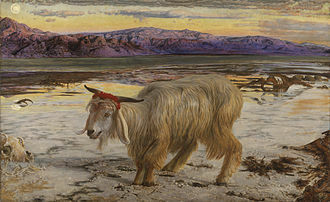 In this it resembles the Greek pharmakos or scapegoat — though in contrast, pharmakos generally ejected a lowly member of the community. A further distinction between these two modes (and one not obvious from a modern perspective) is that ostracism was an automatic procedure that required no initiative from any individual, with the vote simply occurring on the wish of the electorate — a diffuse exercise of power. By contrast, an Athenian trial needed the initiative of a particular citizen-prosecutor. While prosecution often led to a counterattack (or was a counterattack itself), no such response was possible in the case of ostracism as responsibility lay with the polity as a whole. In contrast to a trial, ostracism generally reduced political tension rather than increased it. Although ten years of exile would have been difficult for an Athenian to face, it was relatively mild in comparison to the kind of sentences inflicted by courts; when dealing with politicians held to be acting against the interests of the people, Athenian juries could inflict very severe penalties such as death, unpayably large fines, confiscation of property, permanent exile and loss of citizens' rights through atimia. 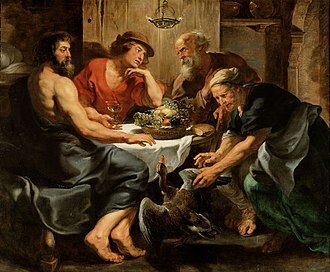 Further, the elite Athenians who suffered ostracism were rich or noble men who had connections or xenoi in the wider Greek world and who, unlike genuine exiles, were able to access their income in Attica from abroad. In Plutarch, following as he does the anti-democratic line common in elite sources, the fact that people might be recalled early appears to be another example of the inconsistency of majoritarianism that was characteristic of Athenian democracy. However, ten years of exile usually resolved whatever had prompted the expulsion. Ostracism was simply a pragmatic measure; the concept of serving out the full sentence did not apply as it was a preventative measure, not a punitive one. 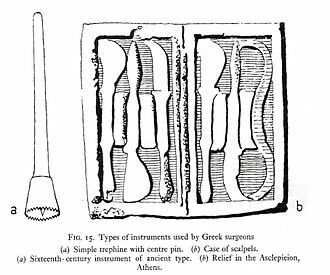 One curious window on the practicalities of ostracism comes from the cache of 190 ostraka discovered dumped in a well next to the acropolis. From the handwriting they appear to have been written by fourteen individuals and bear the name of Themistocles, ostracised before 471 BC and were evidently meant for distribution to voters. 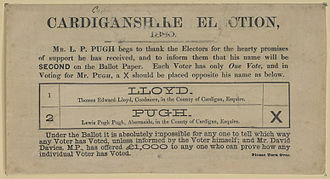 This was not necessarily evidence of electoral fraud (being no worse than modern voting instruction cards), but their being dumped in the well may suggest that their creators wished to hide them. If so, these ostraka provide an example of organized groups attempting to influence the outcome of ostracisms. The two-month gap between the first and second phases would have easily allowed for such a campaign. 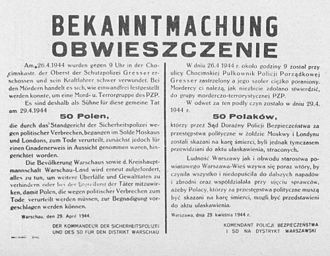 There is another interpretation, however, according to which these ostraka were prepared beforehand by enterprising businessmen who offered to them for sale to citizens who could not easily inscribe the desired names for themselves or who simply wished to save time. The two-month gap is a key feature in the institution, much as in elections under modern liberal democracies. It first prevented the candidate for expulsion being chosen out of immediate anger, although an Athenian general such as Cimon would have not wanted to lose a battle the week before such a second vote. Secondly, it opened up a period for discussion (or perhaps agitation), whether informally in daily talk or public speeches before the Athenian assembly or Athenian courts. * In this process a consensus, or rival consensuses, might emerge. Further, in that time of waiting, ordinary Athenian citizens must have felt a certain power over the greatest members of their city; conversely, the most prominent citizens had an incentive to worry how their social inferiors regarded them. 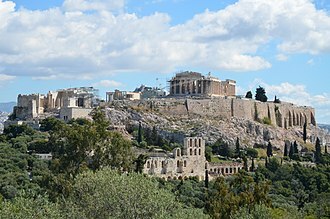 Around twelve thousand political ostraka have been excavated in the Athenian agora and in the Kerameikos. The second victim, Cleisthenes' nephew Megacles, is named by 4647 of these, but for a second undated ostracism not listed above. The known ostracisms seem to fall into three distinct phases: the 480s BC, mid-century 461–443 BC and finally the years 417–415: this matches fairly well with the clustering of known expulsions, although Themistocles before 471 may count as an exception. This suggests that ostracism fell in and out of fashion. The last known ostracism was that of Hyperbolos in circa 417 BC. There is no sign of its use after the Peloponnesian War, when democracy was restored after the oligarchic coup of the Thirty had collapsed in 403 BC. However, while ostracism was not an active feature of the 4th-century version of democracy, it remained; the question was put to the assembly each year, but they did not wish to hold one. Because ostracism was carried out by thousands of people over many decades of an evolving political situation and culture, it did not serve a single monolithic purpose. Observations can be made about the outcomes, as well as the initial purpose for which it was created. 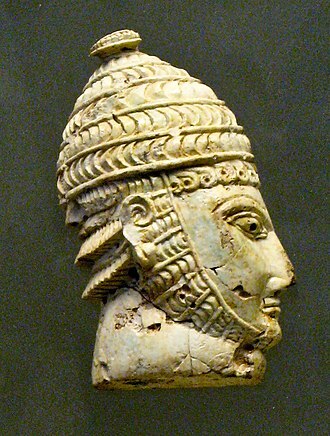 The first rash of people ostracised in the decade after the defeat of the first Persian invasion at Marathon in 490 BC were all related or connected to the tyrant Peisistratos, who had controlled Athens for 36 years up to 527 BC. 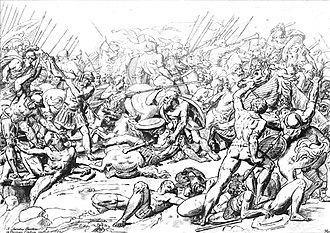 After his son Hippias was deposed with Spartan help in 510 BC, the family sought refuge with the Persians, and nearly twenty years later Hippias landed with their invasion force at Marathon. Tyranny and Persian aggression were paired threats facing the new democratic regime at Athens, and ostracism was used against both. 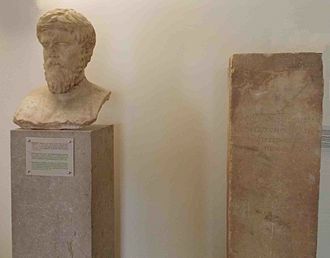 Tyranny and democracy had arisen at Athens out of clashes between regional and factional groups organised around politicians, including Cleisthenes. As a reaction, in many of its features the democracy strove to reduce the role of factions as the focus of citizen loyalties. Ostracism, too, may have been intended to work in the same direction: by temporarily decapitating a faction, it could help to defuse confrontations that threatened the order of the State. In later decades when the threat of tyranny was remote, ostracism seems to have been used as a way to decide between radically opposed policies. For instance, in 443 BC Thucydides, son of Melesias (not to be confused with the historian of the same name) was ostracised. 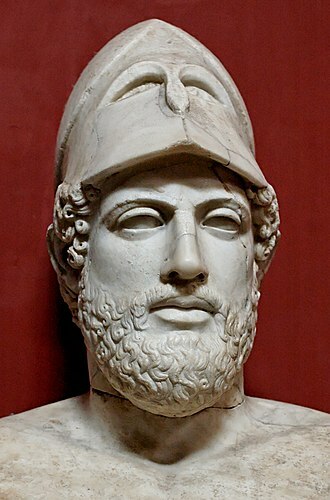 He led an aristocratic opposition to Athenian imperialism and in particular to Pericles' building program on the acropolis, which was funded by taxes created for the wars against the Achaemenid Empire. By expelling Thucydides the Athenian people sent a clear message about the direction of Athenian policy. Similar but more controversial claims have been made about the ostracism of Cimon in 461 BC. The motives of individual voting citizens cannot, of course, be known. Many of the surviving ostraka name people otherwise unattested. They may well be just someone the submitter disliked, and voted for in moment of private spite. As such, it may be seen as a secular, civic variant of Athenian curse tablets, studied in scholarly literature under the Latin name defixiones, where small dolls were wrapped in lead sheets written with curses and then buried, sometimes stuck through with nails for good measure. 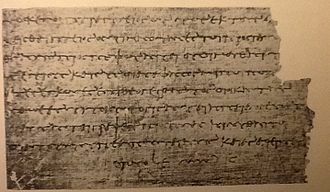 In one anecdote about Aristides, known as "the Just", who was ostracised in 482, an illiterate citizen, not recognising him, came up to ask him to write the name Aristides on his ostrakon. When Aristides asked why, the man replied it was because he was sick of hearing him being called "the Just". Perhaps merely the sense that someone had become too arrogant or prominent was enough to get someone's name onto an ostrakon. 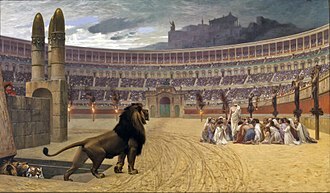 Ostracism rituals could have also been an attempt to dissuade people from covertly committing murder or assassination for intolerable or emerging individuals of power so as to create an open arena or outlet for those harboring primal frustrations and urges or political motivations. 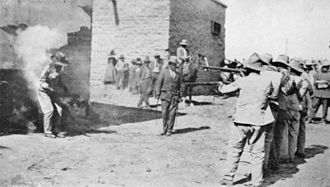 The solution for murder, in Gregory H. Padowitz's theory, would then be "ostracism" which would ultimately be beneficial for all parties – the unfortunate individual would live and get a second chance and society would be spared the ugliness of feuds, civil war, political jams and murder. The last ostracism, that of Hyperbolos in or near 417 BC, is elaborately narrated by Plutarch in three separate lives: Hyperbolos is pictured urging the people to expel one of his rivals, but they, Nicias and Alcibiades, laying aside their own hostility for a moment, use their combined influence to have him ostracised instead. According to Plutarch, the people then become disgusted with ostracism and abandoned the procedure forever. In part ostracism lapsed as a procedure at the end of the fifth century because it was replaced by the graphe paranomon, a regular court action under which a much larger number of politicians might be targeted, instead of just one a year as with ostracism, and with greater severity. But it may already have come to seem like an anachronism as factional alliances organised around important men became increasingly less significant in the later period, and power was more specifically located in the interaction of the individual speaker with the power of the assembly and the courts. 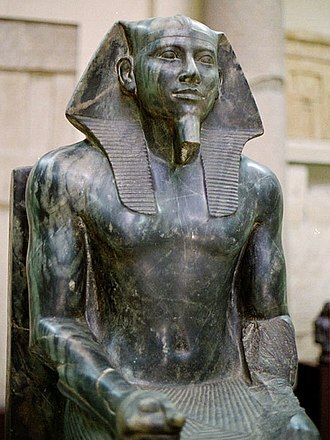 The threat to the democratic system in the late 5th century came not from tyranny but from oligarchic coups, threats of which became prominent after two brief seizures of power, in 411 BC by "the Four Hundred" and in 404 BC by "the Thirty", which were not dependent on single powerful individuals. Ostracism was not an effective defence against the oligarchic threat and it was not so used. Other cities are known to have set up forms of ostracism on the Athenian model, namely Megara, Miletos, Argos and Syracuse, Sicily. In the last of these it was referred to as petalismos, because the names were written on olive leaves. Little is known about these institutions. Furthermore, pottery shards identified as ostraka have been found in Chersonesos Taurica, leading historians to the conclusion that a similar institution existed there as well, in spite of the silence of the ancient records on that count. 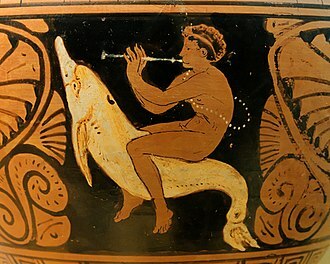 Kallixenes, son of Aristonimos, "the traitor"
The social psychologist Kipling Williams has written extensively on ostracism as a modern phenomenon. Williams defines ostracism as "any act or acts of ignoring and excluding of an individual or groups by an individual or a group". Williams suggests that the most common form of ostracism in a modern context is refusing to communicate with a person. By refusing to communicate with a person, that person is effectively ignored and excluded. The advent of the internet has made ostracism much easier to engage in, and conversely much more difficult to detect, with Williams and others describing this online ostracism as "cyberostracism". In email communication, in particular, it is relatively easy for a person or organization to ignore and exclude a specific person, through simply refusing to communicate with the person. Karen Douglas thus describes "unanswered emails" as constituting a form of cyberostracism, and similarly Eric Wesselmann and Kipling Williams describe "ignored emails" as a form of cyberostracism. Williams and his colleagues have charted responses to ostracism in some five thousand cases, and found two distinctive patterns of response. The first is increased group-conformity, in a quest for re-admittance; the second is to become more provocative and hostile to the group, seeking attention rather than acceptance. Research suggests that ostracism is a common reprisal strategy used by organizations in response to whistleblowing. Kipling Williams, in a survey on US whistleblowers, found that 100% reported post-whistleblowing ostracism. Alexander Brown similarly found that post-whistleblowing ostracism is a common response, and indeed describes ostracism as form of "covert" reprisal, as it is normally so difficult to identify and investigate. Qahr (to not be on speaking terms with someone) and ashti (to make up) represent a complex culture-specific fusion of emotional dynamics, cognitive evaluations, and behavioral tendencies, which codes both negative and 'distancing' emotions and initiates a set of social actions and gestures that lead to amelioration of that emotional state. 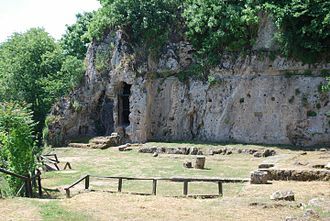 While modern Western concepts of ostracism are based upon enforcing conformity within a societally-recognized group, qahr is a private (batin), family-oriented affair of conflict or display of anger that is never disclosed to the public at large, as to do would be a breach of social etiquette. In Iran, the husband has the right to show qahr towards his wife, but the wife does not have the right to show qahr towards her husband, as the husband's family rank is that of Head of Household while the wife has a much lower family ranking. She may practice qahr only towards others of equal or lower status. Qahr is avoidance of a lower-ranking family member who has committed a perceived insult. It is one of several ritualized social customs of Iranian culture. 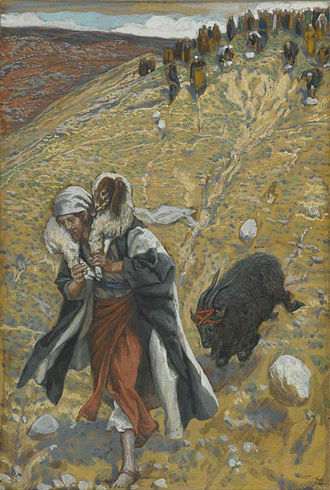 Gozasht means 'tolerance, understanding and a desire or willingness to forgive' and is an essential componant of Qahr and Ashti for both psychological needs of closure and cognition, as well as a culturally accepted source for practicing necessary religious requirements of tawbah (repentance, see Koran 2:222) and du'a (supplication). ^ Oration IV of Andocides purports itself to be speech urging the ostracism of Alcibiades in 415 BC, but it is probably not authentic. 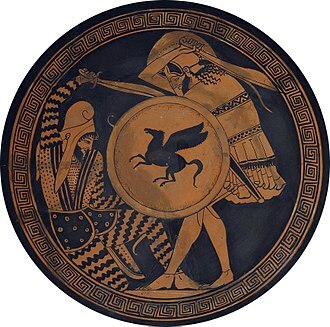 ^ The second ostracisms of Megacles and of Alcibiades son of Kleinias are reported only by Lysias in the quoted passage – no other ancient author refers to them. Thus, Lysias's report is regarded as probably spurious by many modern historians. ^ Editor, Iris Online. "Words". irisonline.org.uk. Retrieved 25 March 2018. 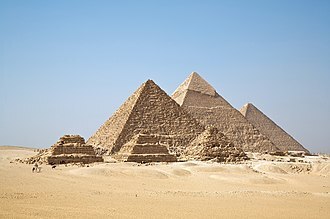 ^ According to some sources, part of the agora was roped-off, according to others it was temporarily immured with wooden planks. ^ Sinclair, R. K. (1988). Democracy and Participation in Athens. Cambridge University Press. pp. 114–9. ISBN 0-521-42389-9. ^ Staveley, E.S. (1972). Greek and Roman Voting and Elections. Thames and Hudson. pp. 89ff. ^ Stockton, David (1990). The Classical Athenian Democracy. Oxford University Press. pp. 33ff. ISBN 0-19-814697-3. ^ Ober, Josiah (1988). Mass and Elite in Democratic Athens. Princeton University Press. p. 74. ISBN 0-691-02864-8. ^ a b Plutarch, Life of Cimon 17.2–6. ^ Broneer, Oscar. "Excavations on the North Slope of the Acropolis, 1937". Hesperia, 1938. pp. 228-243. ^ Mabel Lang, (1990). Ostraka: 3–6, Athens. ^ Plutarch, Life of Pericles 11–12, 14. ^ see Surikov, pp. 121–122. ^ see Surikov, pp. 73–80, and references therein. ^ Williams, K. 2001. Ostracism: The Power of Silence. New York: Guilford Press. pp. 2-18. ^ Douglas, K. 2008. 'Antisocial Communication on Electronic Mail and the Internet'. In: A. Konjin, M. Tanis, S. Utz, and S Barnes (eds.) Mediated Interpersonal Communication. (200-214). New York: Routledge. p.203. ^ Wesselmann, E. and Williams, K. 2013. 'Ostracism and Stages of Coping'. In: C. Dewall (ed.) Oxford Handbook of Social Exclusion. (20-30). Oxford: Oxford University Press. 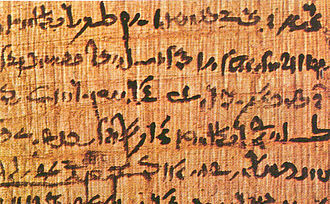 p.21. ^ Williams, K. 2001. Ostracism: The Power of Silence. New York: Guilford Press. pp. 195. ^ Brown, A.J. (ed) 2008. Whistling While They Work. Canberra: ANU Press. 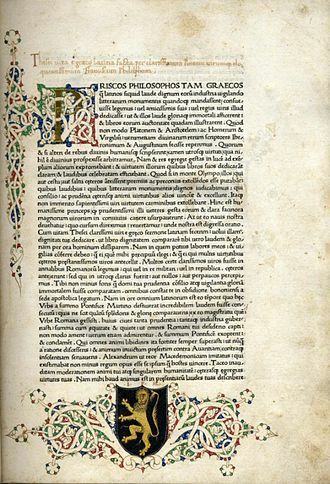 p. 129. ^ Limbert, John W. (22 July 2016). "Iran: At War With History". Routledge. Retrieved 25 March 2018 – via Google Books. ^ Behzadi KG (1994). "Interpersonal conflict and emotions in an Iranian cultural practice: qahr and ashti". Culture, Medicine and Psychiatry. 18 (3): 321–59. PMID 7956304. ^ BRODY, Leslie (30 June 2009). "Gender, Emotion, and the Family". Harvard University Press. Retrieved 25 March 2018 – via Google Books. ^ "Page Not Found". www.commisceo-global.com. Retrieved 25 March 2018. ^ "What is Dua? - islam.ru". islam.ru. Retrieved 25 March 2018. A list, differing slightly from that given above, of known ostracisms and many of the key Greek passages translated, from John Paul Adams's site at CSU Northridge. Note that the ancient sources on ostracism are mostly 4th century or much later and often limited to brief descriptions such as notes by lexicographers. Most of the narrative and analytical passages of any length come from Plutarch writing five centuries later and with little sympathy for democratic practices. 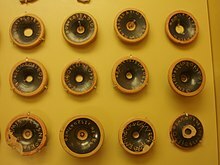 There are no contemporary accounts that can take one into the experiences of participants: a dense account of Athenian democracy can only be made on the basis of the much fuller sources available in the 4th century, especially the Attic orators, after ostracism had fallen into disuse. Most of such references are a 4th-century memory of the institution. (1996). "Ostracism". Oxford Classical Dictionary, 3rd edition. Oxford. ISBN 0-19-860165-4. Mabel Lang, (1990). Ostraka, Athens. ISBN 0-87661-225-7. Rudi Thomsen, (1972). The Origins of Ostracism, A Synthesis, Copenhagen. P.J. Rhodes, (1994). "The Ostracism of Hyberbolus", Ritual, Finance, Politics: Athenian Democratic Accounts presented to David Lewis p. 85-99, editors. Robin Osborne, Simon Hornblower, (Oxford). ISBN 0-19-814992-1. Mogens Herman Hansen, (1987). The Athenian Democracy in the age of Demosthenes, Oxford. ISBN 0-8061-3143-8. Josiah Ober, (1989), "Mass and Elite in Democratic Athens: Rhetoric", Ideology and the Power of the People, Princeton University Press. ISBN 0-691-02864-8. Wikimedia Commons has media related to Greek ostraka. Occasionally, a piece of broken pottery may be referred to as a shard. While the spelling shard is generally reserved for referring to fragments of glass vessels, the etymology is connected with the idea of breakage, from Old English sceard, related to Old Norse skarth and Middle High German scharte, notch. A sherd or potsherd that has been used by having writing painted or inscribed on it can be more referred to as an ostracon. The analysis of sherds is widely used by archaeologists to date sites and develop chronologies, due to their characteristics and high resistance to natural. Some characteristics of sherds useful to archaeologists include temper and these characteristics can be used to determine the kinds of resources and technologies used at the site. Archaeologists often classify sherds by the part of the vessel from which the sherd came. For example, sherds may be categorized as rim sherds, body sherds, rim sherds are fragments of a vessels rim, while base sherds are fragments of the vessels base. Liberal democracy is a liberal political ideology and a form of government in which representative democracy operates under the principles of classical liberalism. It is called western democracy, to define the system in practice, liberal democracies often draw upon a constitution, either formally written or uncodified, to delineate the powers of government and enshrine the social contract. After a period of sustained expansion throughout the 20th century, liberal democracy became the predominant political system in the world, a liberal democracy may take various constitutional forms, it may be a constitutional monarchy or a republic. It may have a system, a presidential system, or a semi-presidential system. Liberal democracies usually have universal suffrage, granting all citizens the right to vote regardless of race. Historically, some regarded as liberal democracies have had a more limited franchise. There may be such as voters being required to register before being allowed to vote. The decisions made through elections are not by all of the citizens. The liberal democratic constitution defines the character of the state. The purpose of a constitution is seen as a limit on the authority of the government. Liberal democracy emphasises the separation of powers, an independent judiciary, Liberal democracies are likely to emphasise the importance of the state being a Rechtsstaat, i. e. a state that follows the principle of rule of law. Governmental authority is exercised only in accordance with written, publicly disclosed laws adopted and enforced in accordance with established procedure. In practice, democracies do have limits on certain freedoms, there are various legal limitations such as copyright and laws against defamation. There may be limits on speech, on attempts to undermine human rights. In the United States more than in Europe, during the Cold War, now they are more commonly applied to organisations perceived as promoting actual terrorism or the incitement of group hatred. Examples include anti-terrorism legislation, the shutting down of Hezbollah satellite broadcasts, critics claim that these limitations may go too far and that there may be no due and fair judicial process.